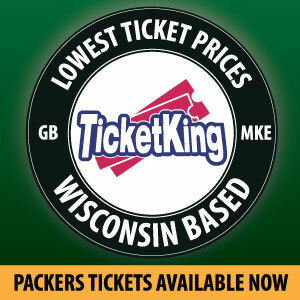 One week from tonight the Packers will make their first selection in the 2014 draft. The majority of Packer fans seem to want the selection to be a linebacker, namely Alabama’s CJ Mosley or Ohio State’s Ryan Shazier. But despite the fact that Packer fans and the media almost universally recognize inside linebacker as a major need for the Packers, it certainly doesn’t mean Ted Thompson feels the same way. You only have to go back a few years to see the huge disconnect there can be from the Packer fan base and media to Thompson and Packer management. When the Packers switched to a 3-4 defense in 2009, they traded up to select outside linebacker Clay Matthews with the 26th pick, a stroke of genius by Ted Thompson. 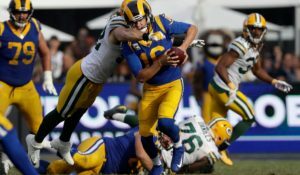 After the 2009 season when it became clear that Aaron Kampman would not be retained to play outside linebacker, it was obvious, to Packer fans at least, that the Packers needed to find another outside linebacker to play on the opposite side of Matthews. During the lead up to the 2010 draft, TCU’s Jerry Hughes became a very popular name among Packer fans, with many mock drafts linking the Packers and defensive end/outside linebacker, who was eventually selected by the Colts with the 31st pick. Not only did the Packers not use a first round pick on an outside linebacker, but they didn’t select one in the entire draft. A combination of Brad Jones, undrafted free agent Frank Zombo, and street free agent Erik Walden ended up rotating at the position that year. Surely the Packers would address this spot early in the 2011 draft. Justin Houston, Jabaal Sheard or Brooks Reed had to be the Packers’ pick, right? Nope. The Packers didn’t’ take an outside linebacker until the 6th round when they selected Ricky Elmore, who ended up being notoriously awful. It wasn’t until 2012 when Thompson finally caved and selected Nick Perry in the 1st round. Perry’s play has been inconsistent thus far, but when healthy he has shown promise as a pass rusher. With inside linebacker the need isn’t nearly as conspicuous. The Packers have never wavered on their commitment to AJ Hawk, and Brad Jones played well in 2012, garnering a +7.3 grade from Pro Football Focus, as well as a hefty contract extension. Jones wasn’t nearly as effective last season, grading out at a -6.9 according to PFF. The Packers are also paying both Hawk and Jones starter money. Hawk is due to make over $5 million this season, making him the 13th highest paid inside linebacker in the NFL. And Jones is scheduled to make just under $4 million, making him the 17th highest paid inside linebacker in the NFL. 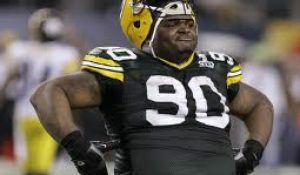 So will the Packers be willing to move on from Jones as a starter after one bad season, or will they wait to see if he rebounds this year? 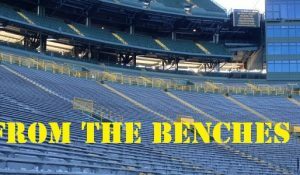 If it was up to me, Mosley or Shazier would be the Packers pick, but without knowing what the Packers’ draft board looks like, and how closely they will stick to the “best player available” philosophy, it is impossible to tell what they will do. There is also no guarantee Mosley or even Shazier will be on the board when the Packers make their first selection, but if they are, I wouldn’t be shocked if the Packers go in a different direction. This entry was posted in Packers 2014 - 2015 Season and tagged CJ Mosley, Ryan Shazier. Bookmark the permalink. Agree completely. In fact I would not be surprised to see them go OT! If they do we will have a good idea how they feel about Bulaga’s injury history and Sherrods chances of ever fully recovering from his. Interesting thoughts. As you mentioned, and Ted Said in his press conference today, only Ted knows what Ted is thinking. The only thing I can see a reason for a linebacker is the rash of injuries the Packers suffered in the past years, especially at LB. 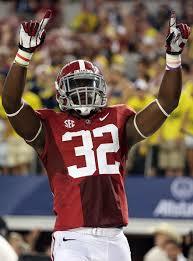 Having Mosley/Shavier would just add needed depth at a critical position within the 3-4 Defense. This upcoming draft will be exciting to watch. I could see Ted trading out of the first round to get more picks… He indicated he’s happy with 4 in the first 100 but would like more. And with several top 10 teams needing QB’s, I could see one of them taking another position and getting back into the first round to take their QB. I like the idea of them trading back unless there is someone they are in love with at 21. It would be nice to get another pick in the top 100. OT would surprise me in round 1, unless Matthews, Robinson or Lewan fell to them. I think what ever player they choose needs to be able to come in and make an immediate impact.